Easy to begin, yet challenging to master block puzzle game! 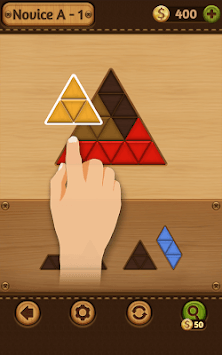 Block Puzzle Games : Wood Collection is the best collection of block puzzles. This collection contains different shapes of block puzzle games like Square, Triangle, Hexagon, Rhombus, and Tangram all in one. 'Easy to play' game for all ages. • Don't worry! It has No time limits! • Use “Hints” for help when you get stuck. • Unlock more packages by passing through levels. - Smooth effect for block puzzle game! - Play easily and quickly. - Over 480+ levels are unique and full of fun and amazing challenges! 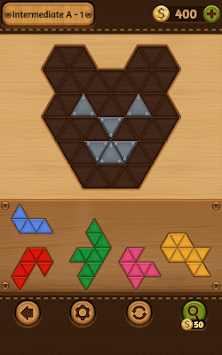 • Block Puzzle Games : Wood Collection supports both mobile phones & tablet PCs. • Block Puzzle Games : Wood Collection contains ads varying from banners, interstitials, videos to house ads. 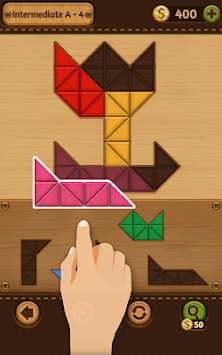 • Block Puzzle Games : Wood Collection is free to play, however, you may purchase Ads Free item. • Block Puzzle Games : Wood Collection requests following permissions.